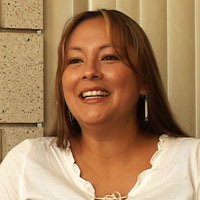 At the time of her interview, Ms. Anaquod was completing her undergraduate degree at the University of Montana. She is a younger member of the Assiniboine tribe, serving as a spokesperson to share the oral tradition passed down from her tribal elders. Each Tribe is Unique - Clover Anaquod.